Fast growing deciduous tree. 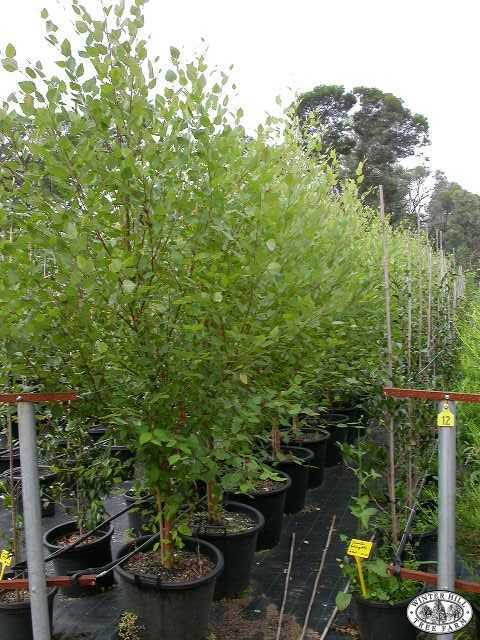 The best birch for warm temperate climates up to tropical areas in far north Queensland. Red-brown bark peels to reveal a white trunk. Non-invasive root system. Butter yellow autumn foliage, upright uniform growth habit. Prefers moist to wet soils. A useful tree to grow along rivers and dams where soil is often boggy.